I made it to The Lost Falls on the weekend. If you know what that is, then you understand my excitement and amazement – not just because I was able to witness the falls in all it’s glory, but that I actually made it back alive to tell my story. If you don’t know what The Lost Falls are, then allow me to shed some light on one of Prince Edward County’s best-kept secrets. Last weekend, while I was working in the cidery, taking readings, cleaning tanks, and meticulously tasting, Colin Campbell approached me from a dark corner in the cider house. His voice reminded me of dry leaves rustling along the driveway, “Matt, come with me on an adventure you will never forget”. His voice was low so that Amelia and Dianne couldn’t hear. We both knew there would be no adventures if the girls caught wind. Matt, come with me on an adventure you will never forget. My mind was blown. A single wish!? I was determined to drink from the falls, but what did he mean when he said that the falls didn’t want to be found? Something about Hogwarts came to mind, but I was about to find out sooner than I hoped. Colin’s brother, Stuart, accompanied us on the way to the falls. He also intended on indulging in that clear, fresh, wish-granting water. Unfortunately for Stuart, Colin was right. The Falls don’t want to be discovered and they will do everything they can to stop those who aren’t worthy. As we walked up our first hill, Stuart keeled over in agony, howling like a wounded dog. His brand new rubber boots were wreaking havoc on his poor toes. As he writhed on the ground in agony, he kicked off his boots to reveal blistered and cracked feet. The smell was so putrid, it was as if Stuart’s big toe was lodged in my mouth. There was no way Colin and I could carry him all the way to the falls, and we didn’t have time to take him back to safety and also complete our quest. We did the only thing we could do – leave him for the coyotes. Drinking from the falls grants you a single wish. Next, the falls tried to scare us off by planting two giant turtles in the middle of our path. My initial instinct was to turn around and run straight back to the orchard, but I was petrified with terror. However, Colin must have known better – or maybe he had experienced this trick by the falls before. Colin identified the turtles and immediately started playing with them! While giggling, he quickly and gracefully maneuvered the turtles back to safety and we continued on. We didn’t get much further than five feet when something truly exceptional happened. A mysterious new species of turtles wandered into our path. These were even larger than the turtles from before and Colin stared, gaping at them. 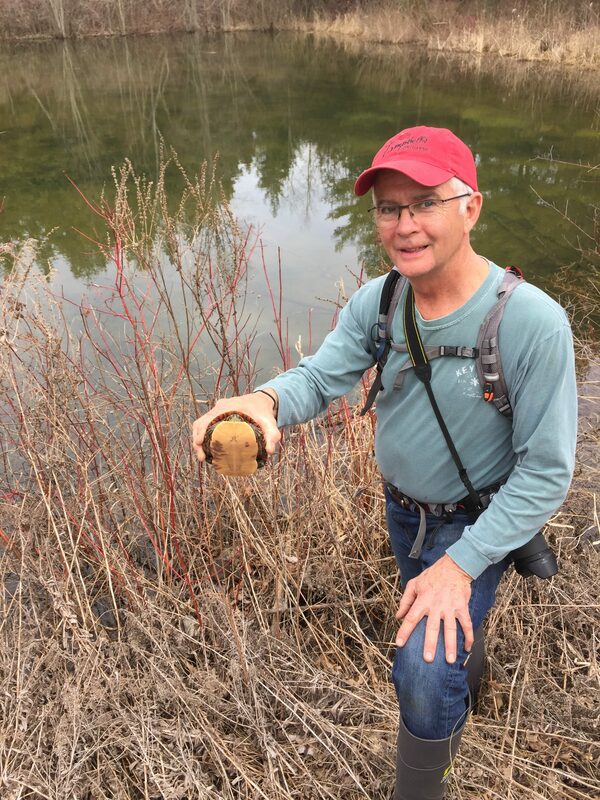 “Those are Blanding’s Turtles! 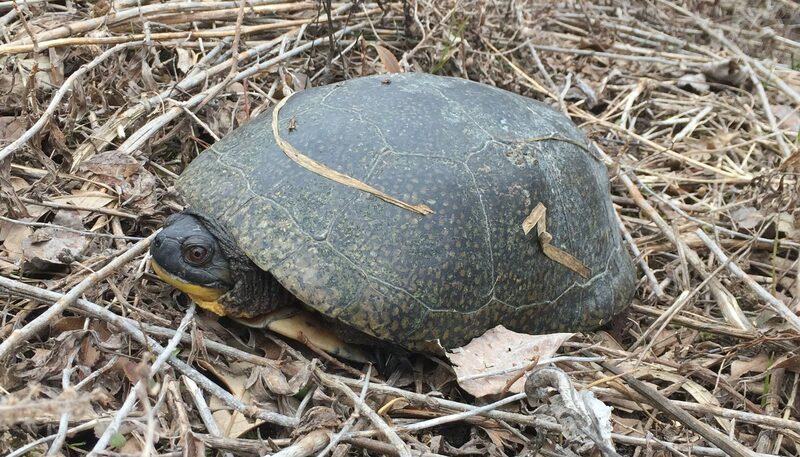 The rarest turtles in Prince Edward County,” Colin managed to say after a period of silence. Colin stood, transfixed by their beauty and didn’t respond to me at all. I shook him hard and tried to wake him from his paralysis, but his body was as limp as my grandmother’s spaghetti. Through his incoherent mumbling I only caught a few words, “Endangered… majestic… protect…” This was another one of the falls tricks! Colin was so intrigued with the turtles he forgot about our quest. I had to act fast. I slapped him hard across the face. His blue eyes sparked back to life as he realized what happened. He gave me a clap on the arm and chuckled as we wandered forward. Those are the rarest turtles in Prince Edward County! We entered a thick, dense swamp that teemed with life. The noise generated by the thousands of frogs was deafening and I immediately knew this was another challenge set by the falls. Colin quickly reached into his pack and grabbed two earmuffs and handed me a pair. I was impressed, Colin must have done this walk a thousand times. It was like he knew what was behind every turn and had a solution for everything. I thanked him and we briskly left the swamp, not tempting the falls into challenging us any further. We walked for what felt like dozens of kilometers and I heard a faint roar of rushing water. We were getting very close. My heart was hammering my chest like a Silverback gorilla. As we trudged through the mud and water, I noticed a current appear on the top of the flooded path. I watched it slowly pick up speed as we got closer to the falls. I felt a calming sensation fall over me, there was something mesmerizing about the way the water rushed by my boots. I felt connected with the creek. It’s movement was deliberate and mighty, destined to follow the path that had been carved into the earth by thousands of years of erosion. If something got in it’s way, it would find a way around it, never stopping. Not unlike me and the journey I was on. I was determined to overcome any obstable the falls would throw at me. Suddenly, the earth tilted 90 degrees and I felt that weird sensation, like when you walk up a flight of stairs in the dark and you take an extra step. I was falling. I had literally walked right off the edge of a cliff. Time seemed to slow as the jagged rocks at the bottom grew larger. This was The Lost Falls final test to remain hidden and it had won. I closed my eyes and accepted my ironic doom when a hand reached down and snatched my arm. The jolt was like a seat belt locking up against my body. Colin’s smiling face was looking down on me, “Have a nice trip?” he quipped. (I excused the bad pun because he literally had just saved my life) But his smile quickly faded as he struggled with my weight. Stuart, Colin and I raced down the escarpment to the rushing water below. I stood in the middle of the river as the thunderous falls fell in front of me, soaking in all the glory and accomplishment of finally reaching The Lost Falls. I bent down and scooped a cup of fresh water into my mouth. It was ice-cold, but satisfyingly refreshing. It felt as if the magical water had entered my veins as my arms and legs tingled and the hair on the back of my neck stood on end. It then occurred to me I didn’t know what to wish for. I put all of my effort into finding the falls, but didn’t know what to do once I had actually found them. It struck me like a bolt of lightning. I knew what I should wish for. I wished that I could find the falls again. But this time, without any resistance. No magical tricks from the falls, just safe passage. I felt the ground shift ever so slightly underneath my feet as the falls reluctantly granted my wish. I look forward to seeing you again soon, falls.